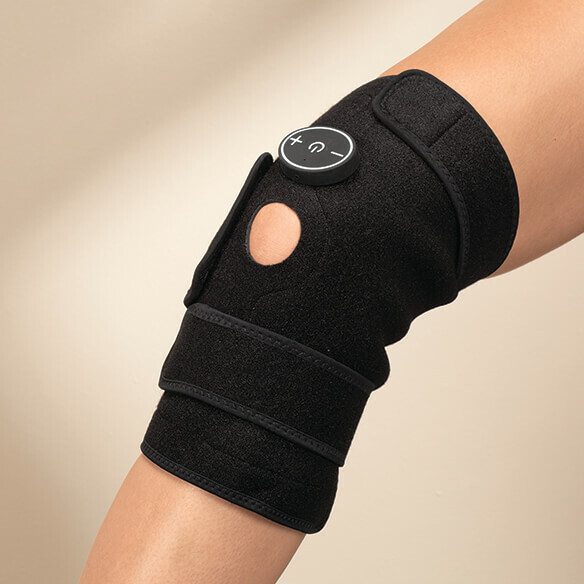 Electronic Pain Relief Therapy Knee Wrap treats an aching knee to proven arthritis pain relief without TENS pads or wires. Built-in TENS unit safely and naturally relieves sore muscles with electronic pulses. 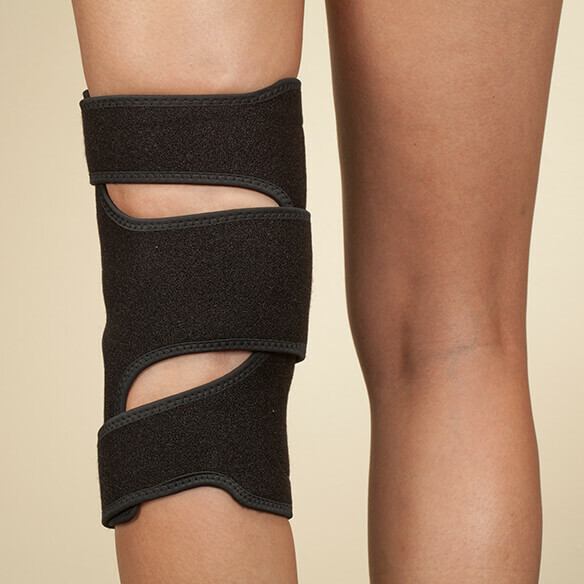 Versatile, washable fabric wrap also can be used as a brace without TENS therapy. Do not use to treat undiagnosed pain or if you have a cardiac pacemaker, implanted defibrillator, or other implanted metallic or electronic device. TENS unit for knee pain safely and naturally relieves sore muscles with electronic pulses. 6 stimulation modes, 20 intensity levels and 6 timer options. Rechargeable battery with USB charging cable. 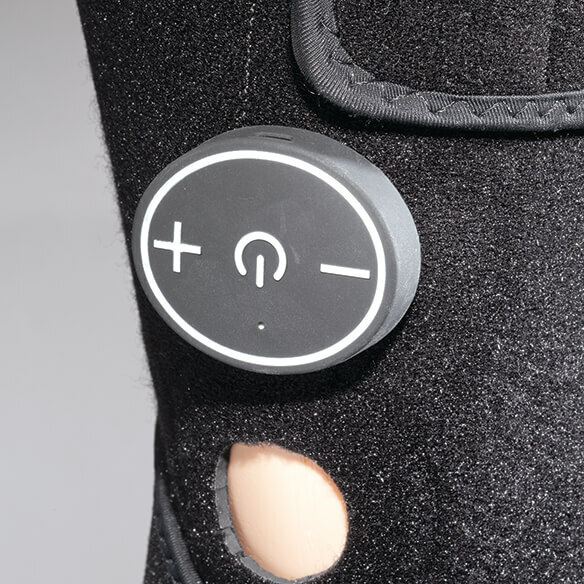 Neoprene/polyester/silver conductive fabric/copper antimicrobial fabric. Important: Do not use this device on persons who have a cardiac pacemaker, implanted defibrillator, or other implanted metallic or electronic device, because this may cause electric shock, burns, electrical interference, or death. Do not use this device on persons whose pain syndromes are undiagnosed. Looking for nonmedicinal pain relief for knee pain. Severe pain from osteoarthritis. Looking for relief. I was tried the fell tens unit. I am having surgery on my knee I hope this works. I don’t have time to keep buying this on the internet and having to return it because does not work like i was told.